Reading companies' annual reports to the Securities and Exchange Commission is a reliable cure for insomnia. Every so often, though, there is a significant revelation in the paperwork. Last year, one of the most important revelations came from Microsoft's filings, which spotlighted how the tax code allows corporations to enjoy the benefits of American citizenship yet avoid paying U.S. taxes. To put this in perspective, the levies the company would owe amount to almost the entire two-year operating budget of the company's home state of Washington. The disclosure in Microsoft's SEC filing lands amid an intensifying debate over the fairness of U.S.-based multinational corporations using offshore subsidiaries to avoid paying American taxes. Such maneuvers — although often legal — threaten to significantly reduce U.S. corporate tax receipts during an era marked by government budget deficits. Microsoft has not formally declared itself a subsidiary of a foreign company, so the firm has not technically engaged in the so-called "inversion" scheme that President Obama and Democrats have lately been criticizing. However, according to a 2012 U.S. Senate investigation, the company has in recent years used its offshore subsidiaries to substantially reduce its tax bills. That probe uncovered details of how those subsidiaries are used. In its report, the Senate's Permanent Subcommittee on Investigations noted that "despite the [company's] research largely occurring in the United States and generating U.S. tax credits, profit rights to the intellectual property are largely located in foreign tax havens." The report discovered that through those tax havens, "Microsoft was able to shift offshore nearly $21 billion (in a 3-year period), or almost half of its U.S. retail sales net revenue, saving up to $4.5 billion in taxes on goods sold in the United States, or just over $4 million in U.S. taxes each day." Microsoft, of course, is not alone. According to a report by Citizens for Tax Justice, "American Fortune 500 corporations are likely saving about $550 billion by holding nearly $2 trillion of 'permanently reinvested' profits offshore." The report also found that "28 corporations reveal that they have paid an income tax rate of 10 percent or less to the governments of the countries where these profits are officially held, indicating that most of these profits are likely in offshore tax havens." In the political debate over taxes, conservatives often cite inversions and other games with offshore subsidiaries as proof that the U.S. corporate tax rate is too high in comparison to other industrialized countries. Yet, when all the existing tax deductions, write-offs and credits are factored in, America's effective corporate tax rate is actually one of the industrialized world's lowest. With the U.S. tax code now permitting companies to use brazen tax avoidance schemes in true tax havens, the real question is more fundamental than what the proper corporate tax rate should be. Instead, the question is now whether corporations should have to pay any taxes on their profits at all? The answer should be obvious. Companies enjoy huge benefits from operating in the United States — benefits like (among other things) intellectual property protection, government provided security (police, firefighting, etc.) and publicly financed infrastructure. Those services and assets cost money. If the tax tricks employed by companies like Microsoft become the rationale to eliminate corporate taxes entirely, then America would allow companies to be exempt from paying their fair share of those costs. That would be a truly endless and unacceptable bailout — one given to executives and shareholders and paid for by the rest of us. 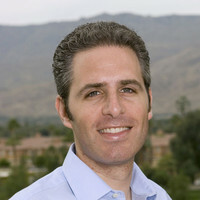 David Sirota is a senior writer at the International Business Times and the best-selling author of the books "Hostile Takeover," "The Uprising" and "Back to Our Future." Email him at [email protected], follow him on Twitter @davidsirota or visit his website at www.davidsirota.com.